Are you looking for something different and special for you next holiday? We have the perfect answer. 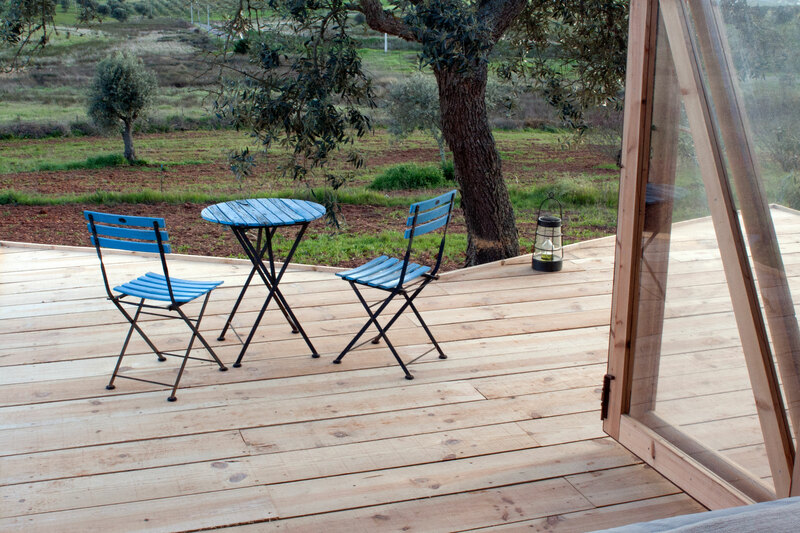 Choupana Abilardo is a shepherd’s hut for 2 people and overlooks a shallow valley. The design is eco-friendly. 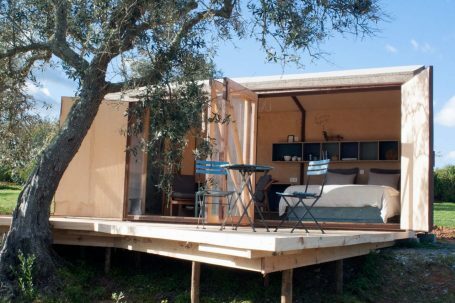 The hut is made of wood and cork, which naturally has good insulating properties. In all seasons it is a comfortable place to explore the area. With 4 people? You can also rent 2 choupana’s. 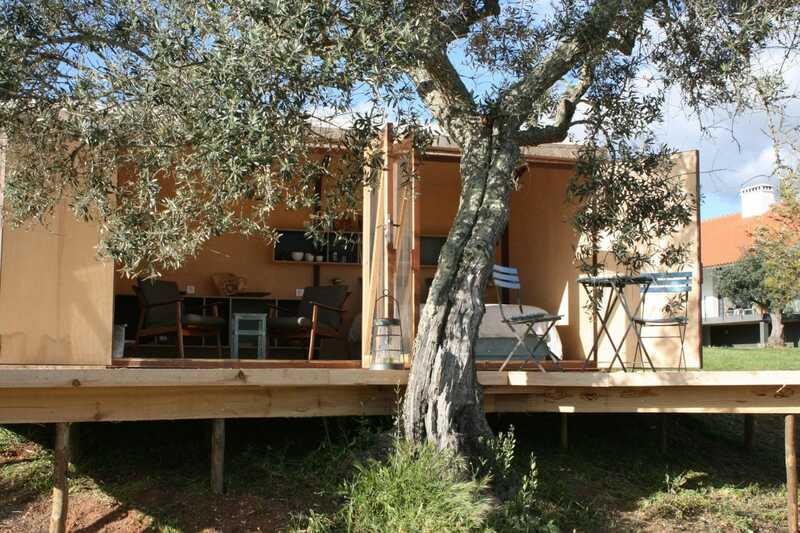 The hut has a wooden terrace that lies in the shelter of a hundred year old olive tree. You can always sit in the sun or shade or in the evening enjoy the beautiful starry sky. 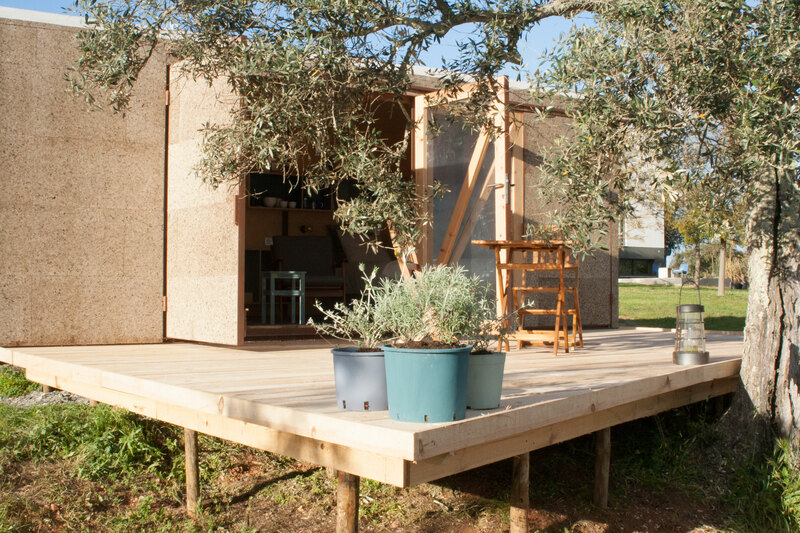 Choupana Abilardo has a small sanitary unit with a shower and an ecological dry toilet. 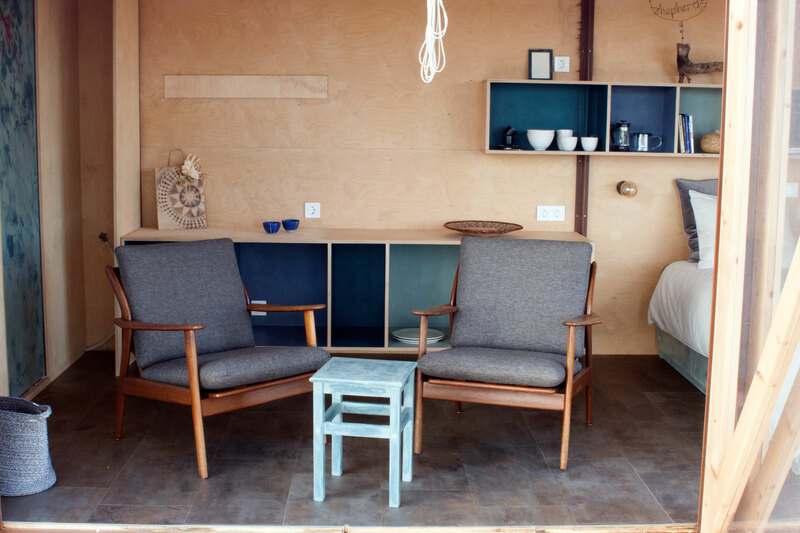 The living space of the hut covers 15m2. Here is a good 2-bed with storage space underneath. In addition, there is a low cupboard with sink, fridge, kettle and induction plate and a seat with 2 chairs. You can open one of the walls completely. This makes it possible to enjoy nature directly from your bed or chair. The large windows offer a meadow look at the surroundings and there are books, games and an information folder. Bed linen, bathrobes and towels are provided. In conclusion a perfect getaway from the hustle and bustle of everyday life. Below you can see theprices of Choupana Abilardo. 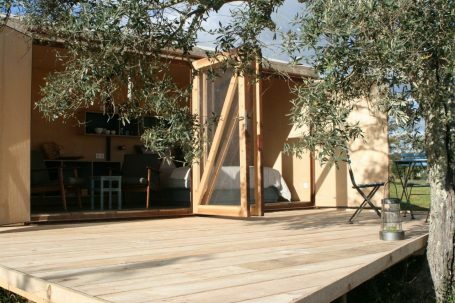 If Choupana Abilardo is unavailable in the period you prefer, we can alternatively offer you one of our other villas.